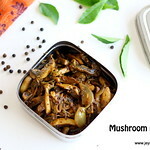 Now-a-days we started including mushrooms twice a month , as they say it is very good source of protein. 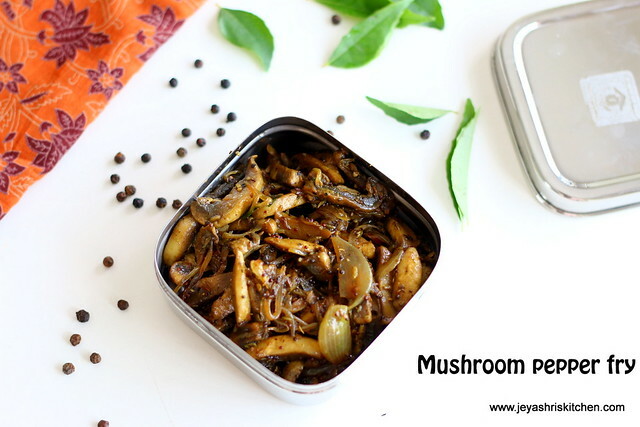 Generally i make Mushroom Masala or Kadai Mushroom . 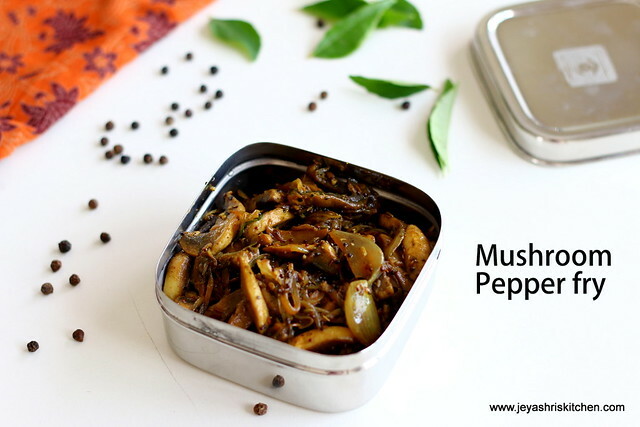 So i wanted to try something different this time and made this mushroom pepper fry. 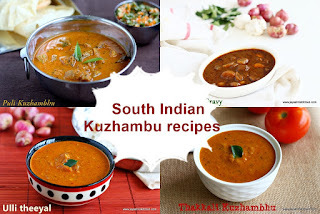 For a change i made a dry subzi in chettinad style with freshly ground spices. 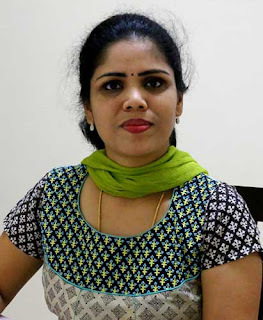 The pepper fry was very nice and it tasted well with rasam rice. 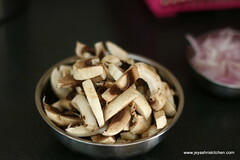 Clean the mushrooms and slice them into thin long pieces. 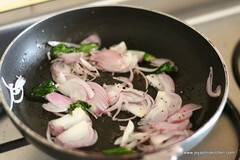 Slice the onion into thin and slit the green chilli. 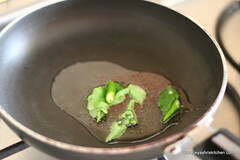 In a pan add oil and throw in the mustard seeds, green chilli and curry leaves. 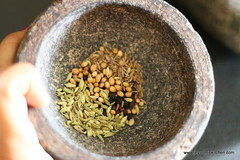 Ground the black pepper, coriander seeds, fennel seeds and cumin seeds using a mortar and pestle. 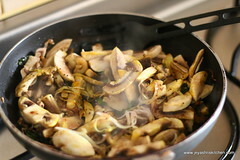 Add the onions to the oil and saute till they become translucent. 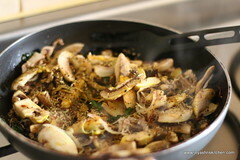 Add in the mushrooms, turmeric powder and salt. 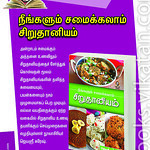 Mix well and cook in a low flame. 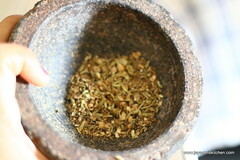 Add the freshly ground spices to this and mix well. 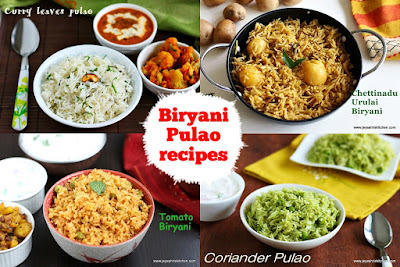 No need to add water while cooking. The mushroom tends to ooze out water . This will get cooked very fast also. Cook for 2 minutes till the water evaporates. 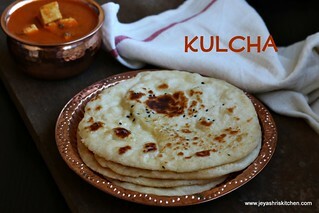 Switch off the flame and serve hot with rice or roti. 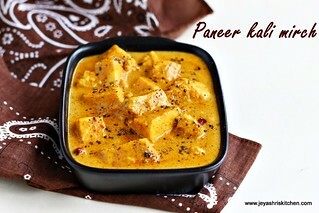 You can add fennel powder, coriander powder, cumin seed powder and pepper powder instead of grinding this . 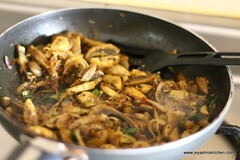 But using freshly ground spices will give a great aroma to the mushroom masala. 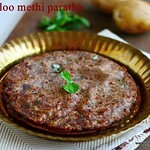 my kids fav.. but I do it without onion. 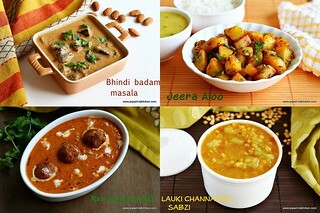 Mushroom in any form we love it! 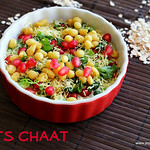 Colour combo resembles national flag. 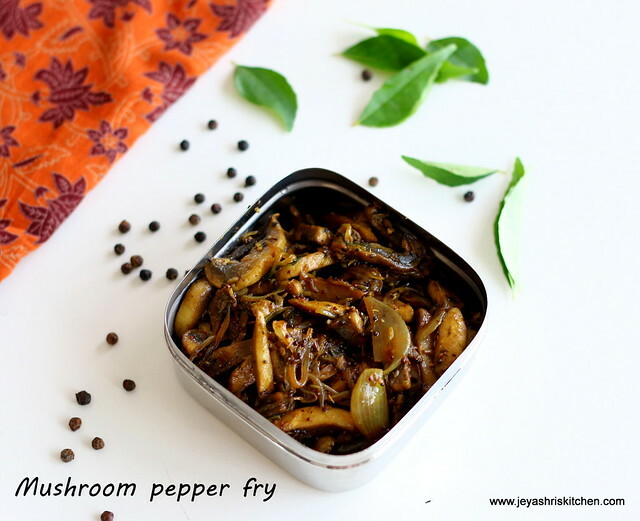 Looks very hot and spicy, such a terrific pepper mushroom fry.